As Team USA gears up for the Olympic Games in Sochi, Russia, Minnesota Wild fans have yet another reason to be glued to the TV during this upcoming event that has been four years in the making. Wild forward Zach Parise was recently named captain of Team USA and defenseman Ryan Suter was named an assistant. The other assistant for 2014’s edition of Team USA’s men’s ice hockey team is Los Angeles forward Dustin Brown. The Wild currently find themselves ten points behind the Colorado Avalanche for third place in the Central Division. However, the Wild have gained ground in the Wild Card standings. Minnesota and Vancouver currently hold the two Wild Card spots in the Western Conference and the Wild have a three point lead over the Phoenix Coyotes who are on the outside looking in at the moment. After securing the Silver medal at the 2010 Olympic Games in Vancouver, Team USA is hopeful that it will take their game to the next level in Sochi. 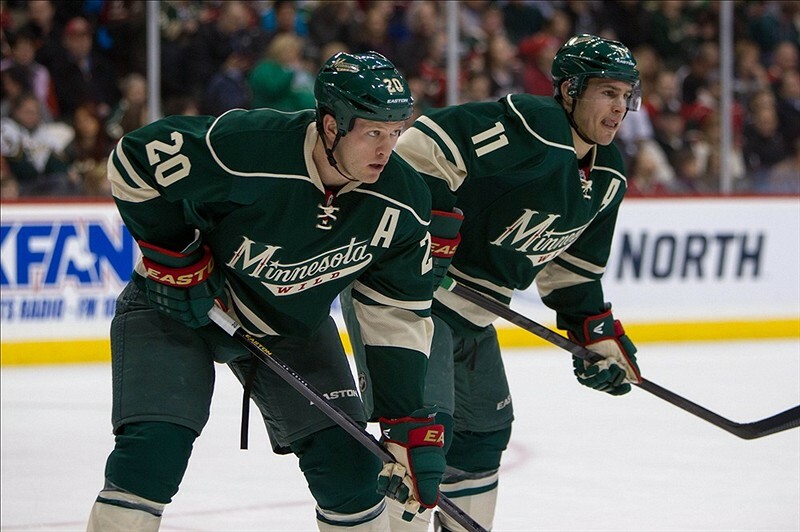 The current leaders of the Minnesota Wild will be key members of Team USA in Sochi. This will not only be a great opportunity for USA hockey but it will also help hone Parise and Suter’s leadership skills for the final stretch of the season. The men’s ice hockey tournament will feature the world’s best players and this will be a huge draw for hockey fans across the globe. 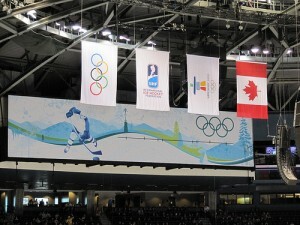 The 2010 men’s ice hockey gold medal game is one many Canadians consider to be one of the greatest international game for Canada ever played. Canada won its eighth Olympic gold medal which tied Canada with the Soviet/Unified Team for first on the all-time list for the most Olympic gold medals in men’s ice hockey history. The 2010 edition of Team USA was arguably one of the most talented teams assembled for the nation. Team USA went undefeated in group play where it defeated Norway, Switzerland and Canada. Going into the medal game, many had high hopes that Team USA would capture its third gold medal in Olympic history. The gold medal game was a closely-fought battle. Team Canada led the game going into the third period. As the battle moved forward, Team USA found itself trailing with just moments left in the game. Goaltender Ryan Miller was pulled for an extra attacker. With less than one minute left, forward Zach Parise netted the equalizer that sent the game into overtime. Parise’s goal may have been one of the most storied goals in US Olympic history had the outcome of the game gone differently for Team USA. However, the tides turned on Team USA at the hand of Team Canada forward Sydney Crosby. Goaltender Ryan Miller played out of his mind throughout the entire tournament and earned MVP honors. However, the gold medal wasn’t meant to be for Team USA in 2010. Crosby beat goaltender Ryan Miller in overtime to win the game and the gold medal for Team Canada. Winning the gold medal in Vancouver has gone down in history as one of Team Canada’s finest Olympic moments. The team did not do as well as many predicted it would in group play where Team Canada won one game in regulation, one game in overtime, and lost a game in regulation. However, this misfortune was undone and all but forgotten by Sydney Crosby’s gold medal winning goal against Team USA. After the disappointing loss in Vancouver, Team USA has high expectations going into the Olympic Games in Sochi, Russia. There will be twelve countries competing in the men’s hockey tournament at the 2014 Olympic Games. Team USA will be grouped with Russia, Slovakia, and Slovenia. As in the past, the standings of the group play will determine the seeding for the medal competition. It will be crucial for Team USA to find chemistry as early as possible. Many analysts note that there is very little separation between Teams USA, Russia and Slovakia. Each of these three teams are considered to be contenders for medals so it is vital that Team USA find consistency early to meet the high expectations. 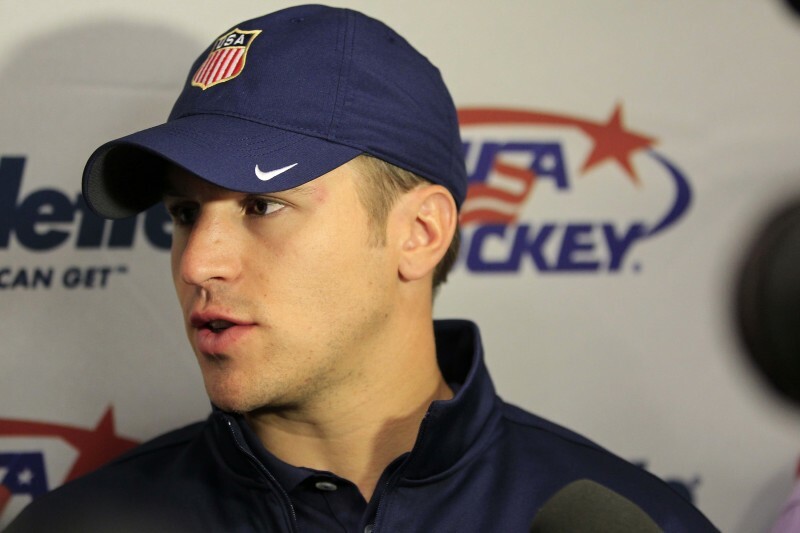 Minnesota forward Zach Parise and defenseman Ryan Suter will have a major influence on the success of Team USA in Sochi. In five hundred and ninety-two career NHL games, Parise has four hundred and eighty-three points. In his career with the New Jersey Devils and Minnesota Wild, Parise has averaged 0.82 points per game with two hundred thirty goals and two hundred fifty-three assists. He served as both an assistant captain and as captain during his tenure in the NHL and his leadership skills will be needed to get Team USA on the right track out of the gate. In addition to scoring a huge goal for Team USA in the 2010 Olympic Games, Parise played a huge role in the team’s success. Parise put up four goals and four assists in just six games. Included in this offensive output is two goals on the power play and two game winning goals. Parise also served as an alternate captain for Team USA during the 2010 Olympic Games in Vancouver. Parise – "It's a special thing to be named captain of any team, but when it's an Olympic team it's extra special." Ryan Suter will also be a major factor for Team USA in Sochi. In the 2010 Olympic Games in Vancouver, Suter posted a respectable four points (four assists) in six games played. Like his Minnesota team mate, Suter also served as an alternate captain at the Vancouver Games. His father won gold for Team USA with the 1980 Miracle on Ice team so Suter hopes to keep gold in the family by securing a gold medal in Sochi. In six hundred forty-seven career NHL games with the Nashville Predators and Minnesota Wild, Suter has posted forty-eight goals and two hundred fifty-five assists for three hundred and three career points. Perhaps Suter’s defining characteristic this season has been his average time on ice. He currently leads the NHL with 29:39 time on ice per game. This average is nearly two minutes more than the next closest player, Florida Panthers defenseman Brian Campbell who has an average 27:51 total ice time per game. Suter’s ability to log huge ice time will be utilized by Team USA as he will be a strong leader for the team on the blue line. There are high expectations for Team USA heading into the Olympic Games in Sochi. The sting of missing gold at Vancouver will have many of Team USA’s returning players hungry to take it to the next level. Wild forward Zach Parise and defenseman Ryan Suter will play key leadership roles for Team USA at Sochi as the squad attempts to make the dream of gold a reality. Regardless of the outcome, the stage doesn’t get much bigger than the Olympic Games where the world’s best compete for national glory while the world is watching. These high stake games will not only provide a chance for redemption, but they will also be an excellent experience for Parise and Suter to build upon as the NHL heads into the final stretch of the season. The Olympics will provide an opportunity for those involved to fine-tune their leadership and play-making skills in games against the best players in the world. The Olympic experience will be extremely valuable going forward and particularly for the leadership brass of Team USA including Wild forward Zach Parise and defenseman Ryan Suter. The Minnesota Wild will have several players involved in the Olympic Games and this may spark a new sense of competitive nature as the club moves into a tight playoff race in the Western Conference.